(Bloomberg) -- Investors added money to exchange-traded funds (ETFs) that buy emerging market (EM) stocks and bonds for a fourth straight week. 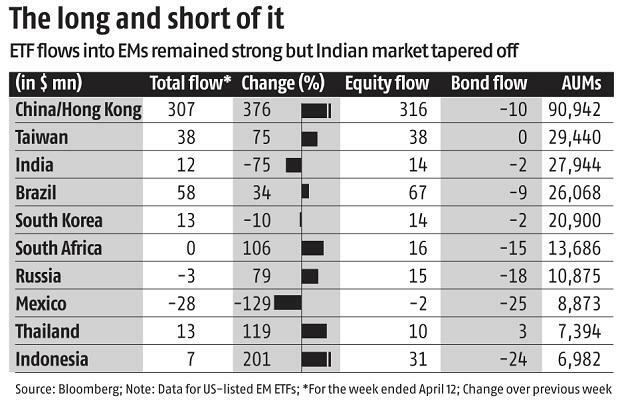 For the week ended April 12, inflows into EM ETFs (listed in the US) totalled $122 million compared to $44 million a week ago, according to data compiled by Bloomberg. The year to date rally for inflows into EM ETFs is $19 billion.